This month we are shinning the light on the wonderful Jo O’Kelly! Jo is a busy working mum of three gorgeous Children, as well as an incredible Photographer (She actually did all of our staff photos!). Jo started at HQ just over 1 year ago hitting the ground running with our January Deal and doing 2 Classes a Week. Since this time, Jo has been so incredibly consistent with her Pilates and as a result has showed great improvements in all aspects of her practice. 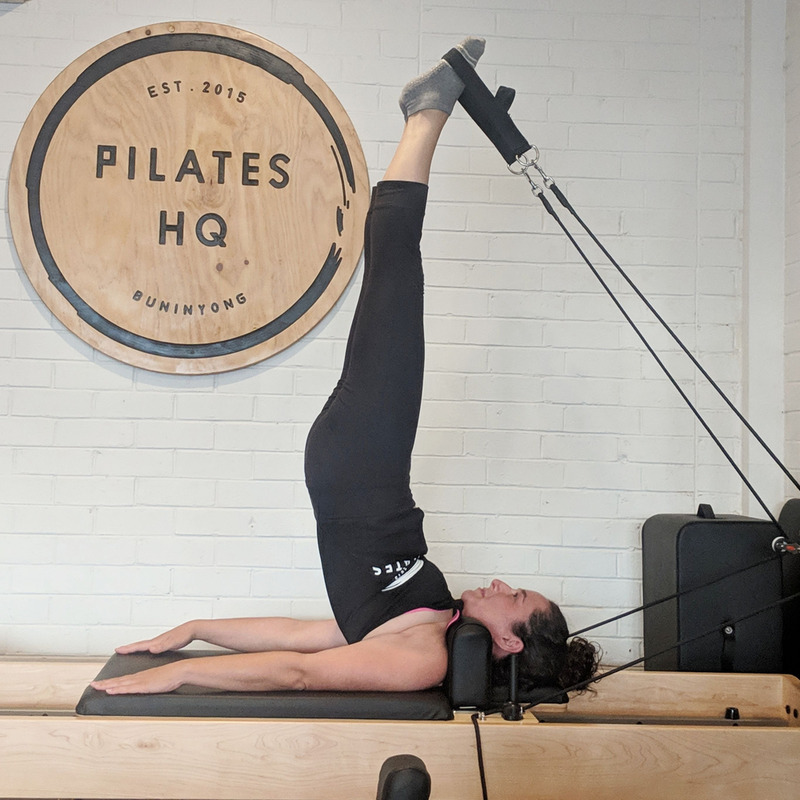 Read on to find out all the things that Jo loves about Pilates at Pilates HQ, her advice for fitting in exercise to a busy schedule and her tips on where to go in Buninyong. Tell us a little bit about you. (You are a teacher, photographer, mum) what else makes you you! and what do you get up to when you are not doing all of the mum, teacher & Pilates things? So, where do I begin and what do I choose to share with you all about ME?? I am who I am because of the strong foundation of my extended family. I learnt from a young age that what is most important in life is people and the relationships in which we hold, develop and treasure. So I invest much of my time and effort into the relationships that I am most fortunate exist around me. I have a gorgeous husband and three children whom I adore beyond words could ever adequately express. My children are aged ten, eight and four. I work as a primary school teacher. I adore supporting children on their journey as learners. I also work in the professional photography industry and continue with determination to develop my craft, always exploring new avenues to learn and to extend my own knowledge and skill set. Why did you decide to try Pilates and what made you choose Pilates HQ? I first became aware of Reformer Pilates when gorgeous Steph made contact with me for my photography service. This was in 2016. I admired from a far for almost 12 months as at the time I had allowed myself to live at the 'bottom rung of the ladder' and I guess in retrospect had chosen to place the needs and desires of others consistently before my own. Prior to having children I was heavily involved as a netballer at my home club in Birregurra. I continued to admire Pilate's HQ via instagram and often sat on my couch in awe watching Steph do the most incredible things with her body in the video footage that she posted. In January 2018 I made the decision to improve my self care choices and to value what was important for me to be successful in all facets of life. I had really enjoyed the time I had spent with Steph whilst photographing her. I truly believed in her story and knew that I would feel most welcome and safe at her headquarters. What have you liked about the intermediate & advanced classes? I truly still spin out and some times laugh out loud during classes at what my body has become and is able to do. I love everything there is to a Reformer Pilates class. I love the challenge of moving my body with an instructors direction. I love most the strength and flexibility elements. I don't ever remember feeling as strong or as flexible as I do at this point in my life. Both the intermediate and advanced classes challenge my mind and body in the most positive of ways. I also love watching Steph and her team model an advanced movement. I smile at how incredible their own bodies are able to move and feel excitement at what my body might be able to achieve once I make my own attempt. Were you nervous about jumping into the next level of class (eg. beginner to intermediate?) and if so how did you feel after a few classes at that level? I don't remember feeling nervous as such. I did however question in my mind whether my body would be able to do what was expected in the advanced class. Mindset is crucial and it was necessary for me to spend time with my own mind preparing myself. I chose to attend the advanced class with a mindset of growth believing that I could be successful, perhaps not immediately, but that with continued effort I would achieve success. I choose to believe that I can master new poses, stretches and skills with grit, tenacity and determination and genuinely believe in my mind and my body. Do you have any advice for anyone out there who might be considering jumping up to the next level of Reformer Class but is hesitant or nervous about it? My advice would be to listen to the suggestions of our gorgeous Pilates HQ instructors. They are all skilled and so aware of our bodies. I encourage you to trust in their knowledge. I also encourage you to trust that if they suggest trying an intermediate or an advanced class that they will guide you every step of the way. I believe this to be part of the genuine beauty of Pilates HQ. The way our instructors monitor our movements and use of the machines, is testament to their skill level and commitment in supporting our bodies to be the strongest they can be. Have you noticed any benefits or improvements since starting Pilates at Pilates HQ? Goodness YES! Without word of a lie I have never felt as strong, flexible and toned as I do at this point. My balance has improved and I have even noticed an improvement with my posture. The strength I feel isn't exclusive to one area of my body either. My legs, arms, abdominal area, back and even my neck all feel stronger. There is an additional benefit. This is one I hadn't considered. I can arrive at Pilates a little like a duck. When I refer to a duck I consider the analogy that 'on top of the surface of the water' I am mostly calm and poised, but 'under the surface of the water' my legs are paddling for dear life. My mind is often so full that I feel it could explode within seconds and I can feel all sorts of mixed emotions. The truth is that once class formally begins and I focus on the instructors voice, her guidance and then allow my body to move; my mind calms, my body calms and when I leave I feel much more in control. I feel much more in control of everything. It is the most wonderful feeling having Pilates HQ allow me to reset and resume a state of calmness, in addition to the physical benefits. People often say that it is hard to fit exercise in and to make time for themselves, what are you secrets to fitting in your classes? You are a working mum so we would love to know if you have any tips for other mums out there, when it comes to exercising with a busy life/kids? This is a really important question. I could give multiple reasons why I could choose not to fit my two classes per week into my schedule. I don't believe I have any secrets. I have simply made a commitment. And when I make a commitment I keep it. Rarely do I make commitments for myself at a personal level, however, when I took some time to reflect I realised that I deserve this commitment. I deserve to feel strong. I deserve to feel balanced and I deserve to practise mindfulness. I deserve time. 1. Where is Your Favourite Place for coffee in town? I am not a coffee lover and so couldn't make comment about where you'll find amazing coffee in Buninyong. Jimmy (my 4 year old) and I have lunch on Fridays during the school term at Katrine's, Maggie and Kate. I adore her smashed avocado dish with pomegranates. Jimmy loves her chicken wrap. 2. What is Your favourite place to hang out with the kids? There are so many places that my family and I enjoy in Buninyong. We love bike riding as a family in and around town, in particular the track around Desoza Park. It is tranquil and full of the most beautiful shades of green. We also love riding to and around The Gong. If the kids could choose where our bikes would take us, they would choose Chocalatto every time. They adore Zach's spiders. 3. What is Your favourite spot in Buninyong to photograph? 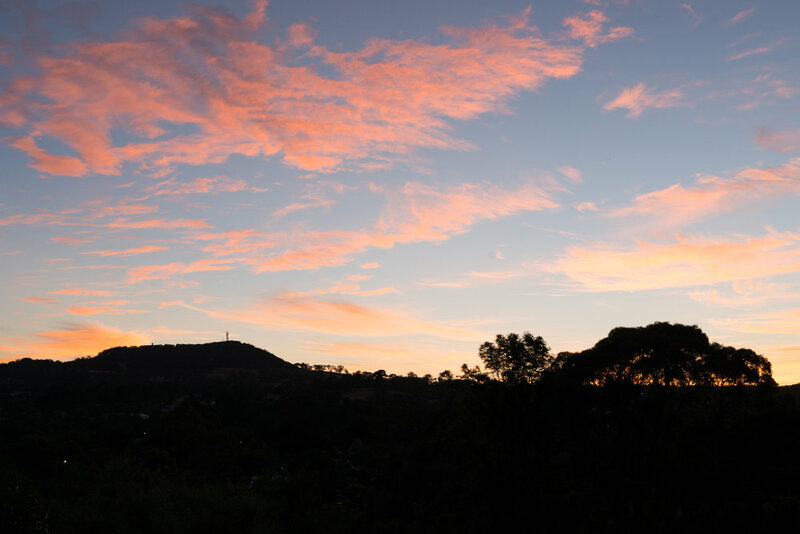 I am most fortunate to open my blinds daily to the sun rising from behind Mt Buninyong. We often sit at our kitchen table admiring the Mount. Some days we see it in its full glory and other days it is hidden by low fog and cloud cover. We regularly reflect as a family about how fortunate we are to look out to such natural beauty when in the comfort of our own home. I would like to take this opportunity to thank Steph and her team for all that they offer at Pilates HQ. I personally feel so grateful to be a member of the Pilates HQ family. It is a beautiful place and one that Steph should feel incredibly proud of creating and nurturing. I look forward to continuing to care for my mind and body at Pilates HQ into the future. Thank You Jo for bringing your beautiful bright personality and amazing attitude to our Studio each week. We truly are blessed to have you as part of our community and we look forward to seeing what you achieve both in and out of Pilates HQ in 2019. The one thing we love most about seeing everyone's smiling faces in class each week, is when we see people achieve something they didn’t think they could, or when we see how much people have improved since they first walked through our doors. This month we would like to shine the spotlight on one of our HQ clients, Suanne Murdoch, and everything that she has achieved since starting Pilates Classes with us. Suanne started coming to our classes around nine months ago with the aim of improving her posture and helping her aching shoulders. She began with beginner exercises, learning how to activate her deep abdominals and trying to get both legs into table top (in the air). Suanne has attended classes once a week, almost religiously since her very first session and in this time has improved so much. In the nine months that Suanne has been coming to Pilates HQ, she has gone from attending beginner classes once a week, to now, being able to jump into an intermediate class, when the time suits. We had a chat to Suanne recently to ask her a few questions about her Pilates Journey so far. I was having trouble with my shoulders and lower back at work because I work at a desk all day. How long have you been doing Pilates for? I started in March/ April this year. What is your favourite thing about coming to classes at Pilates HQ? The laughs, comfortable environment, the new challenges every class brings and Steph for her caring nature and knowledge. Thank you. What has kept you interested in Pilates and why do you keep coming back to class each week? Comfortable environment, the small personal sized classes, the challenges each class brings and the feeling of accomplishment at the end of a class. What improvements have you noticed since coming along to Pilates Classes regularly? I can now get through a day at work without aching shoulders. I can get my legs into table top with no problems (this was impossible when l first started). The other bonus for me has been, l have dropped a dress size. This wasn't my aim but a great result. Anything else you want to add about your Pilates Journey so far? I have felt very comfortable and at Ease at Pilates HQ. Thank you.